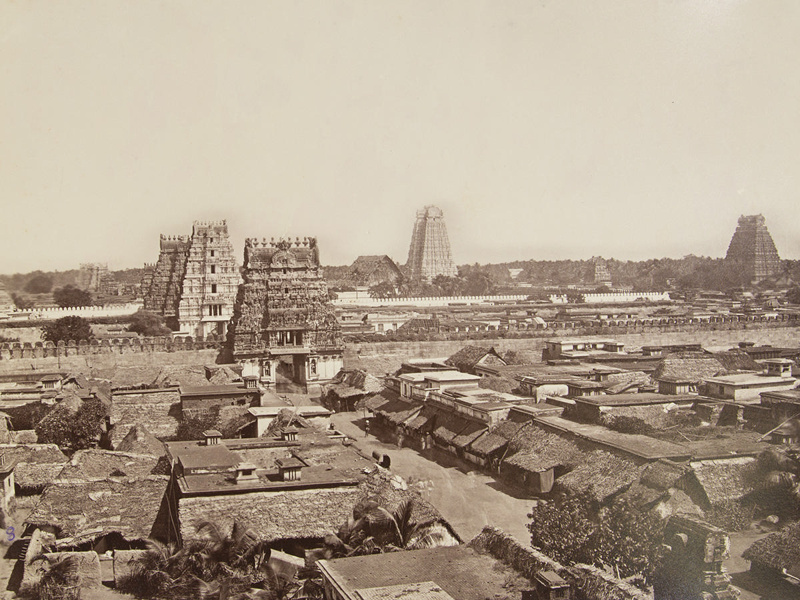 About this objectView of the Ranganathaswamy Temple in the town of Srirangam. The perimeter walls, six gopurams, and the surrounding town can be seen. 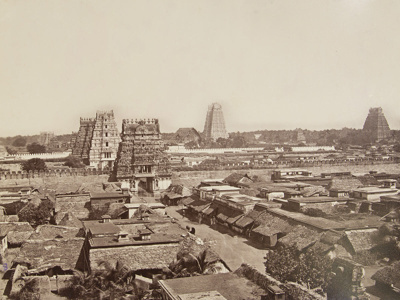 The first recorded mentions of the Ranganathaswamy Temple are in first millennium ACE.